This is my take on chicken lo mein. I miss that smell and feeling of eating take out Chinese food (though I don’t miss the stomach ache!) This is an easy and healthy alternative. In a sauté pan on medium heat add half the oil and the chicken. Cook until the chicken isn’t pink but not cooked thru. Then add the garlic, half the soy sauce, mustard and salt. Stir to combine. Then add the mushrooms and broccoli until everything is cooked thru. Then using a slotted spoon remove the chicken and veggies, leaving all the liquid behind. Add the remaining oil and soy sauce. Pour the shiritaki noodles into a strainer and rinse VERY WELL. Put the noodles in the pan with the liquid and continuously stir so that the noodles absorb most of the sauce and turn a brownish color. 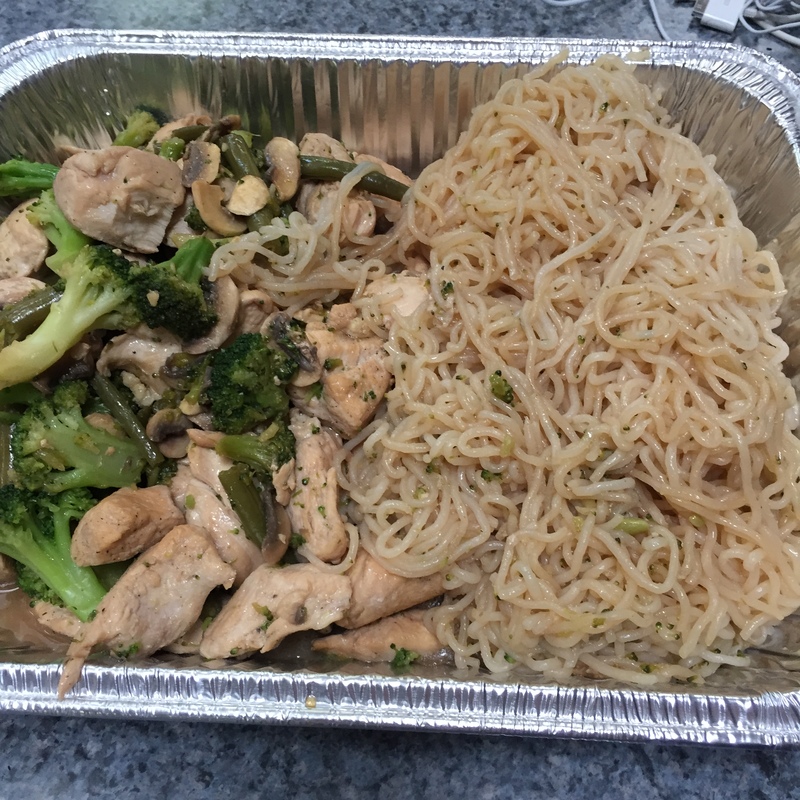 Serve with the chicken on top of the noodles.